Originally published in Journal of Creation 16, no 1 (April 2002): 57. In 1994,2 six creationist scientists answered “Yes” to these questions. They agreed that the continents really have moved apart during the Flood of Noah. And they moved quickly over months, not slowly over millions of years. The details of their answer were presented in papers at the International Conference on Creationism, Pittsburgh, Pennsylvania.3,4,5 This catastrophic-plate-tectonics model is regarded by many as the most highly developed creationist model of the global Flood. 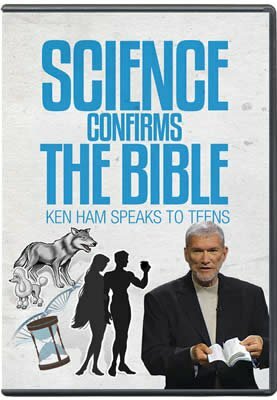 This forum, therefore, focuses on the three papers presented at the 1994 International Conference on Creationism. The participants are John Baumgardner and Michael Oard, who represent the “for” and “against” position respectively. 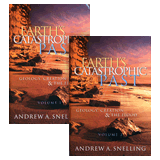 Both have published extensively on Biblical geology. Each has drawn on the advice of others with the aim of making their contribution representative of the different views. Those who assisted are acknowledged at the end of the last contribution of each author. The forum proceeded in three stages. First, each author prepared a paper setting out his case, either “for” or “against”. The first submissions were exchanged and then each author prepared a response. The second submissions were exchanged and each author then prepared his third and final submission. We publish all the articles in this issue of TJ. Although the “for” position is presented first, it is important to realise that the “for” and “against” positions for each of the first, second and third submissions were prepared simultaneously. Batten, D. (Ed. ), Ham, K., Sarfati, J. and Wieland, C., Chapter 11, What about continental drift? The Answers Book, Answers in Genesis, Brisbane, Australia, p. 147, 1999. Although significant papers on catastrophic plate tectonics were presented in 1994, the idea was first presented by John Baumgardner at the 1986 International Conference on Creationism, Pittsburgh, Pennsylvania. He added details to the concept at the 1990 ICC. 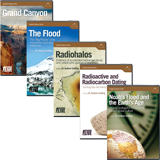 Austin, S.A., Baumgardner, J.R., Humphreys, D.R., Snelling, A.A., Vardiman, L. and Wise, K.P., Catastrophic plate tectonics: a global Flood model of Earth history; in: Walsh, R.E. (Ed. ), Proceedings of the Third International Conference on Creationism, Creation Science Fellowship, Pittsburgh, pp. 609–621, 1994. Baumgardner, J.R., Computer modelling of the large-scale tectonics associated with the Genesis Flood; in: Walsh, RE (Ed. ), Proceedings of the Third International Conference on Creationism, Technical Symposium Sessions, Creation Science Fellowship, Pittsburgh, pp. 49–62, 1994. Baumgardner, J.R., Runaway subduction as the driving mechanism for the Genesis Flood; in: Walsh, RE (Ed. ), Proceedings of the Third International Conference on Creationism, Creation Science Fellowship, Pittsburgh, pp. 63–75, 1994. For example, Reed, J.K. (Ed. ), Plate Tectonics: A Different View, Creation Research Society Monograph 10, St Joseph, pp. 11–23, 2000. Many other such references are cited in the forum.